"Efficient Quick And Even Revised Quote Down Due To Finishing Quicker Than Antisipated"
"Service Was Quick And The Problem Was Immediately Identified"
"Identified Problems With My Heating And Fixed Them On The Spot." "All Aspects Of The Job." "Completed The Job Quickly And Efficiently." 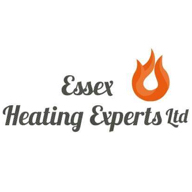 Need a Plumber or Heating Engineer in Rainham?